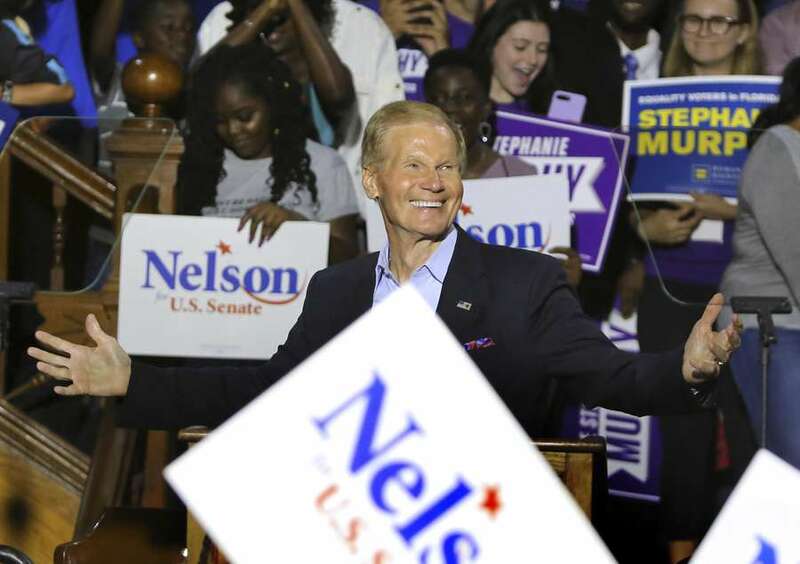 As the margin narrows, Democrats believe Nelson will overcome the gap between him and Republican Rick Scott. Here's why, according to the Senator's election lawyer. Just 21,888 votes (UPDATE: As of 2:10 p.m., it's 17,344) out of 8.2 million separate Sen. Bill Nelson and Gov. Rick Scott in the Florida Senate race. And the margin continues to narrow — it was at nearly 60,000 on election night and 34,000 yesterday afternoon. One thing is clear: This race is headed to a recount. Scott, the Republican, leads Nelson, the Democrat, by 0.26 percentage points. That is well within the margin for a machine recount (0.5 percent) and very close to the threshold for a recount-by-hand (0.25 percent). Nelson's campaign believes the final vote total will continue to move in their favor even before the recount takes place. His election lawyer, Marc Elias, declared on a conference call Thursday morning that the Senator will be victorious and by the end of the month, he'll be preparing for a fourth term in Washington. "At the end of this process Sen. Nelson is going to prevail," Elias said. "I am very measured in how I treat what i say. When i say it is currently a jump ball … I mean that." What gives him this hope? Here's the path to a Nelson victory. Broward County, where Nelson received 68.9 percent of the votes, was still counting early voting, vote-by-mail and Election Day ballots. If the breakdown of these pending ballots is anything close to the results so far, Nelson should pick up more votes than Scott. But no one has been able to say how many uncounted ballots remain, not even Broward County Supervisor of Elections Brenda Snipes. "Were finishing up with the count as we speak. And we've got to get every vote in," Snipes said. "We're not going to rush through it … Our absolute deadline is tomorrow for the first unofficial results." That's a 30,000 difference, a remarkable disparity given the stakes in this race and the name-recognition of these officials. It's a degree of undervote that is non-existent in the other statewide races on the ballot. For example, more than 690,000 people voted in the governor's race. 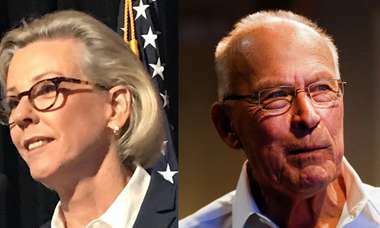 If the results as they stand are accurate, more people voted for Agriculture Commissioner than U.S. Senate. So what happened? It's not clear. Elias dismissed bad ballot design, a theory that circulated a bit on Wednesday. Instead, Elias thinks that either a machine problem in certain precincts or marking issues on the ballot led to thousands of uncounted votes in the Senate race. If that's the case, Elias said he expects those issues will be remedied in a recount, in which case Nelson is likely to further narrow the gap, given where this occurred. Snipes said she was "not aware of that" discrepancy (but also said, "I have not had an opportunity to take a look at that. I heard that for the first time yesterday.") and she couldn't explain it. "We haven't lost any ballots," Snipes said. "The machines are pretty accurate." However, Nelson's campaign believes the majority of the people who cast provisional ballots are Democratic voters. That's based on where most of these ballots are cast, and studies that have shown minorities typically have more trouble casting a traditional ballot on Election Day. "I am confident that based on experience in every state," Elias said, "that they are going to break Democratic as those provisional ballots are counted." Besides the obvious — that 22,000 votes are still a lot to overcome — there's one other aspect of vote count in the coming days that may work in Scott's favor: Military and overseas ballots. Florida has one of the largest military populations in the country. And while most vote-by-mail ballots must be returned by Election Day, ballots cast by active on-duty military and their spouses can arrive until Nov. 16. The state elections division didn't immediately provide an estimate for how many these ballots were sent out. While the make up of those ballots is unclear, Republicans have traditionally touted their strong support in military communities. If those ballots come back favoring Scott, it will make Nelson's path to victory more difficult. Times staff writer Zachary T. Sampson and Miami Herald writer David Smiley contributed to this report.